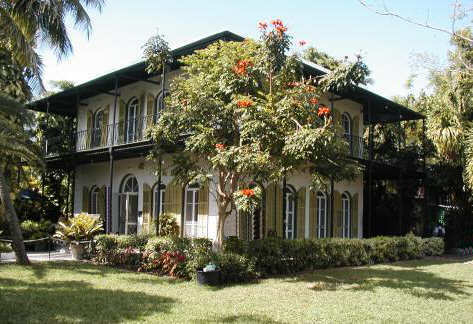 This Spanish Colonial Mansion on Whitehead Street was built in 1851 by Asa Tift, a marine architect and salvage wrecker, and became Ernest Hemingway's home in 1931. The house still contains the furniture that he and his family used. The cats about the home and grounds are descendants of the cats he kept while he lived in the house, including many extra-toed (polydactyls), like the one Papa Hemingway loved.